Rev. Wei Feng came from Mainland China. He studied at Department of Geophysics and School of Economics in Beijing University. He did graduate study on Environmental Economics in Pennsylvania State University and Environmental Management in Rensselaer Polytechnic Institute. 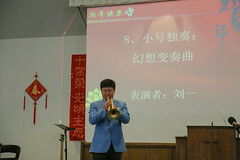 He was a seeker of Christianity in China, was saved and baptized two months after coming to the US. He surrendered to God’s calling of full time ministry in 1998 and went to study at Mid-America Baptist Theological Seminary, where he received Master of Divinity degree. God led him to Rochester, New York in 2001 to do church planting. 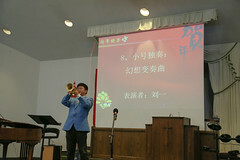 Now he is the Senior Pastor of Victory Baptist Chinese Church of Rochester. He had served in the board of CCLiFe for many years, is special editor of Overseas Campus & Behold magazine, preaches at different places, and taught at several Bible colleges/seminaries in China. He married his college classmate, Jing Wang. They have two daughters and a son.